Wouldn’t normally report on something like this but I am a huge fan of Tarantino and I know how obsessive and private one can get when writing a screenplay. For someone to leak the script for his new western film titled, ‘The Hateful Eight’ is absolutely ridiculous. “I finished a script, a first draft, and I didn’t mean to shoot it until next winter, a year from now,” said the Oscar-winning film-maker. “I gave it to six people, and apparently it’s gotten out today. Other names were reported to be linked to the script like Christoph Waltz and Sam Jackson who Tarantino casts regulary in his films. 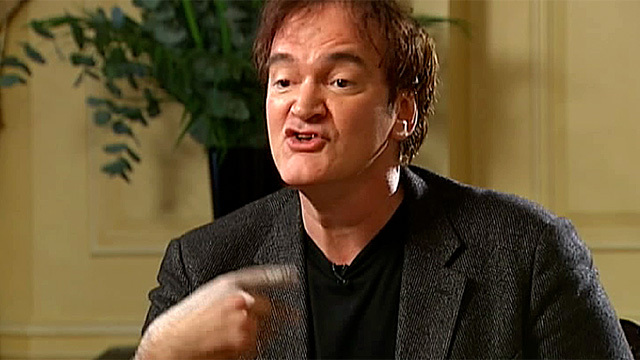 Now that the script has been leaked, Tarantino has no intention of making the film. Fortunately, I hate westerns (Django Unchained the exception) so I’m excited for his next project which we will probably have to wait even longer for. Wah! Next Article Drake Lashes Out on Twitter!